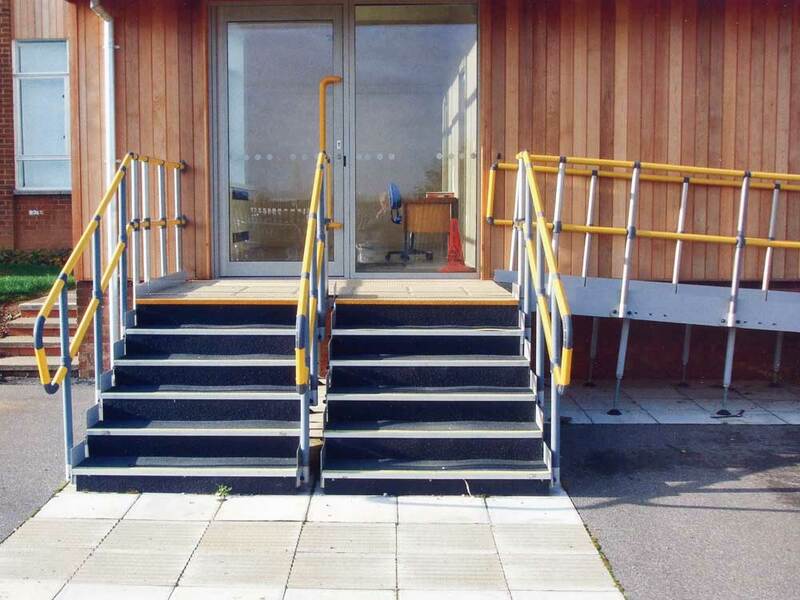 Often our clients require a set of steps from ground level up to the top platform of our ramp systems for able bodied residents, visitors or members of the public to use. Most people find our standard steps with 150mm risers and 300mm going are user friendly and easy to climb and descend. We have solid risers which aids the safety aspect. We can also supply steps with shallow risers and deep going which ambulant people with walking frames can handle. 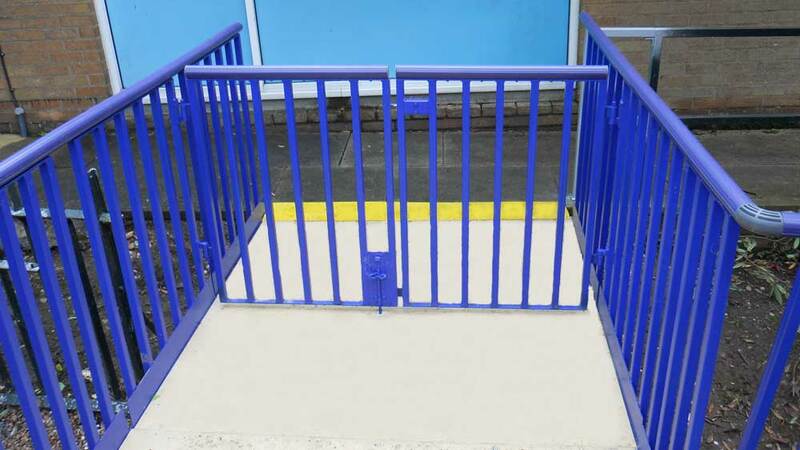 Spring loaded safety gates can be supplied to fit at the top and/or bottom of our ramps and steps. Compliant with building regulations Part M.
Site survey by our engineers. Modular design allows steps to be easily re-located. Does not block air bricks. No footings or foundations required. Steps are 1500 mm wide with 300 mm going and 150 mm risers. Slip resistant fibre glass flooring panels with drainage holes. Double ‘warm to touch’ handrail all round. Aluminium floor and step frames. Quickly installed by our installation team. Extra steps can be bolted in to suit uneven sites. Balustrade with ‘Warm to touch’ handrail. Powder coated double steel handrail all round. 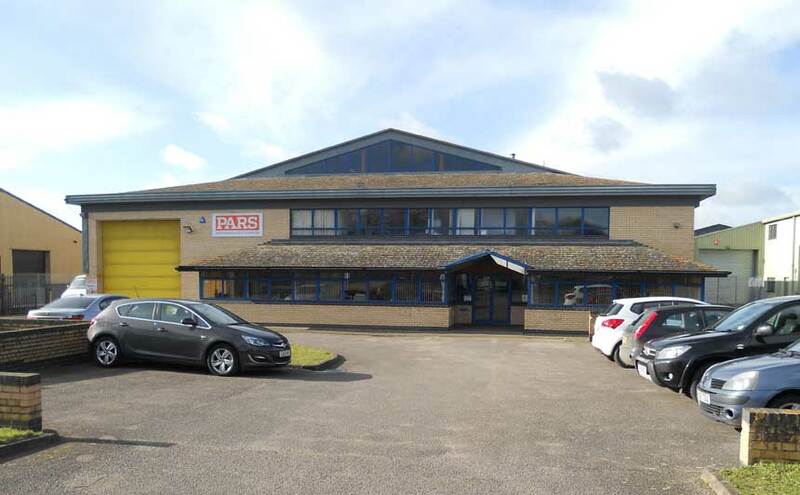 Any width steps to suit site dimensions. Supply only for your engineers to install. Solid slip resistant fibre glass flooring panels. Removable platform floor panels for manhole access.